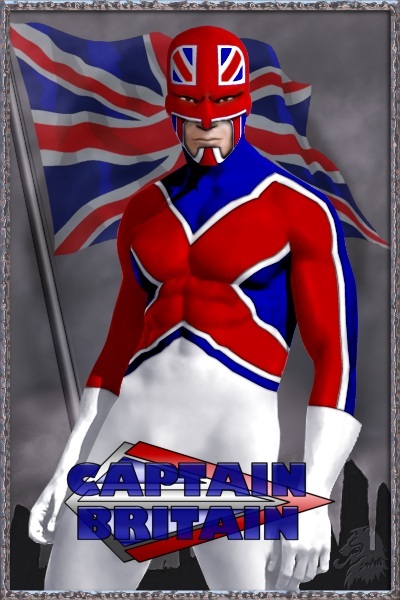 After completing my manip of Trygonez as Captain Britain, I somehow came to the conclusion that maybe he didn’t quite fit the request, so I did another one.. 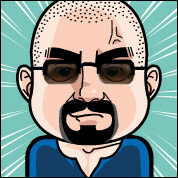 Here is Trygonez as Ghost Cop, a character who appeared in Planetary. The poor chap’s spirit had somehow been trapped on a Hong Kong street corner when he was brutally murdered, and he was forced to return and dish out some retribution on other murderers. This was also a lot of fun and didn’t really take that long to do, including the time to find the source pics. 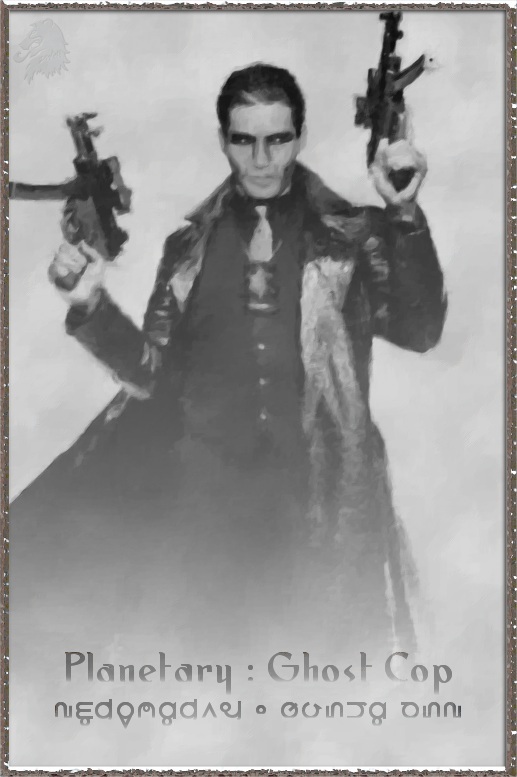 The main body of the pic was taken from one of the posters for Matrix Reloaded (yep that’s morpheus’s body in there). I removed the original head and blended Trygonez’s onto the body. Much additional shading and roughening later and a bit of a gradient fill over the top, followed by a run through the watercolour filter and it isn’t that far away from the Cassady pinup I used as the inspiration. Enjoy your Christmas Trygonez! Since one of Trygonez asks was for a male character from the X-Men camp, I thought I would look for one that hasn’t been done a million times. I know technically Cap here isn’t a mutant, but as one of the mainstays of eXcalibur, i guessed he would qualify. This was actually a lot of fun to do, even if it does have a lot of fiddly layers. The body started of as Antonio Sabata Jr in shorts. This provided the base for the shading, lighting. everything else you see is artificially created, with the exception of our very own Trygonez’s face which i had a heck of a job colouring from the blueish tinged original. If you check out behind the flag.. you may see something in the cloudy sky… Merry Christmas Trygonez, I hope you enjoy your present. Another piece using the art provided by Albea. We spent so long saying it would be nice to see them in a scene or a group, I did this to see how it would look. 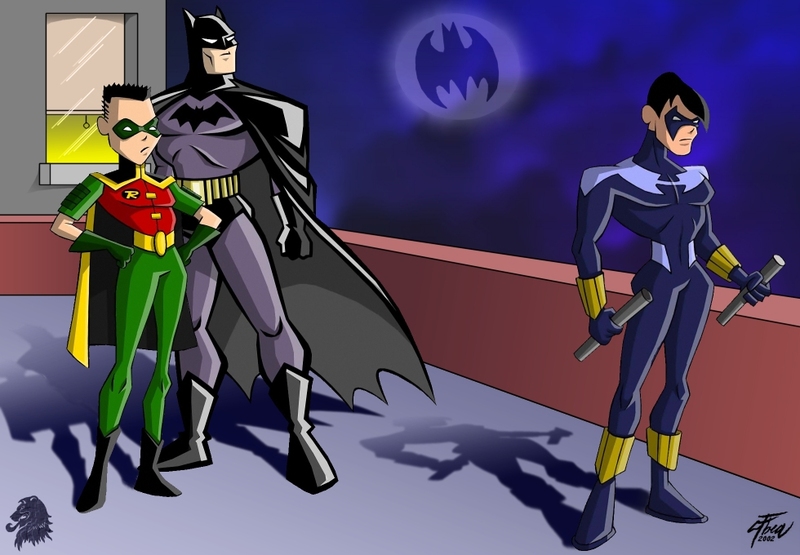 Both WW and Supes characters were submitted alone by Albea, my part was just to bring it together, background etc. The concept? 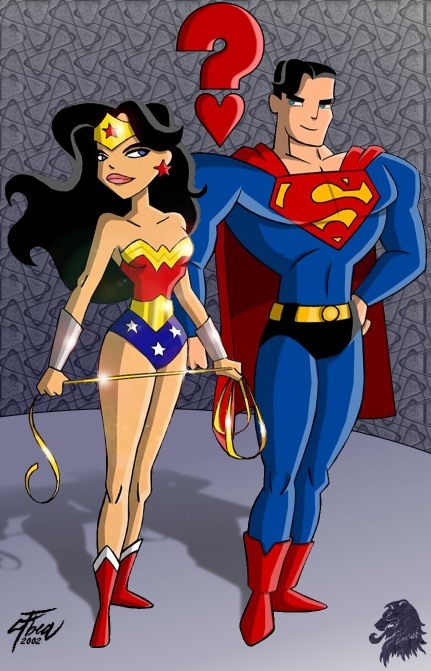 Well Superman should have an equally noble and powerful partner, both in heroics and in love, and who better that Wonder Woman. Well, who knows.. it might happen…. Just a bit of a quickie. 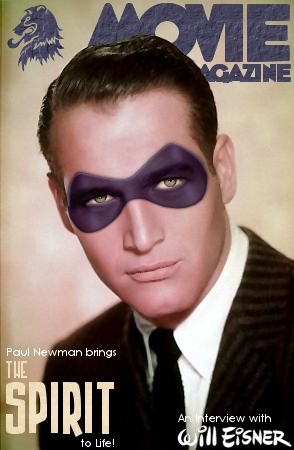 I found the old pic of Newman, and I thought he would have made the perfect Spirit.